The Nicki Minaj and Cardi B drama continues! 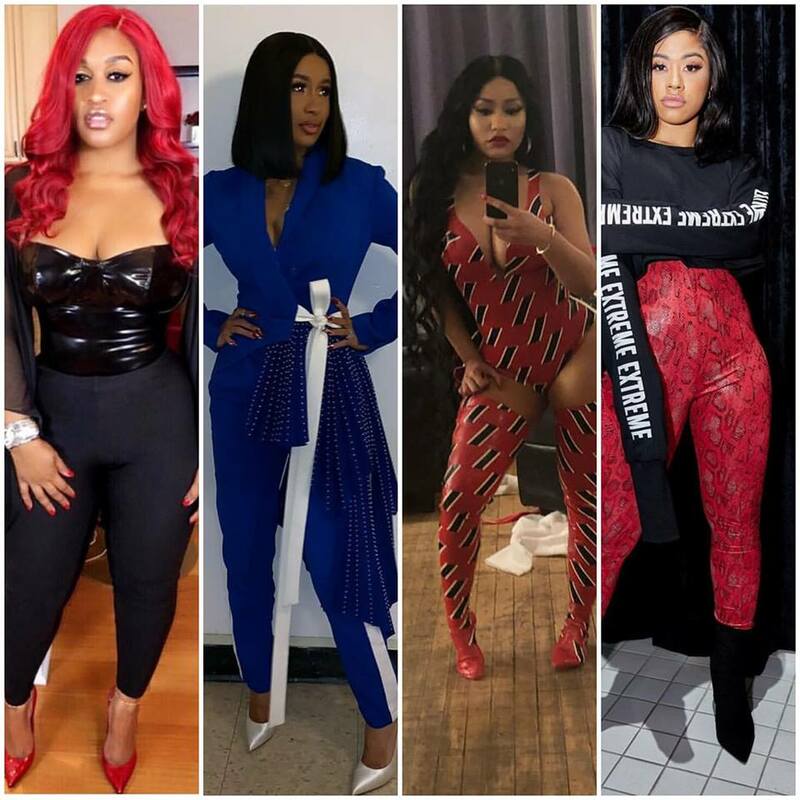 Just days ago Cardi’s sister Hennessy Carolina took to social media to reveal that following Nick’s headline making altercation with her sister, there have been a slew of reported threats against Cardi, her daughter Kulture and Henny herself. The reported threats are coming by way of social media as well as direct phone calls and texts being sent by Nicki’s barbz who Henny says leaked her and Cardi’s personal cell numbers via Nicki fan pages and fan sites. In a now deleted post, Henny shared a series of screenshots of the texts and calls she’s personally received and some which have been death threats. Well on Monday, Nicki took to Queen Radio to address Henny, Cardi and their altercation again to which she says friend, Rah Ali indeed did beat up Cardi during the altercation. She also made sure to throw more insults and jabs at Cardi and threw out fresh allegations. Get into the non sense below. Meanwhile, Cardi has officially announced the release date of her Fashion Nova line. Get in below AND has clapped back at Nicki with tons of receipts HERE.